The Camp Nou is one of football’s greatest stadiums, a cauldron of Catalan pride in the red and blue stripes on the pitch. Some of the world’s finest players have played on the magnificent turf, including Laszlo Kubala, Johan Cruyff, Diego Maradona, Ronaldo, Ronaldinho through to Messi and Neymar – the list is endless! When the players enter the pitch and “El Cant del Barca” fills the stadium, the hairs on the back of your neck will stand – it’s one of the greatest experiences a football supporter can enjoy. 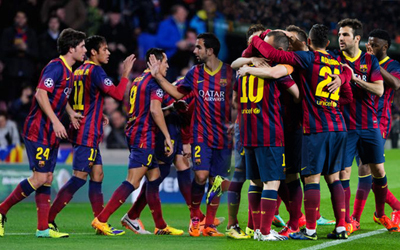 You have to be a part of it, joining with your fellow Cules in cheering Barca to victory. Don’t miss this opportunity and buy your Barcelona football tickets here! After you’ve enjoyed the football, Barcelona is a city of many delights. The whole family will enjoy the Tibidabo Theme Park or a trip around the bay from beneath the Columbus Monument in the port. After you’ve been to the top of monument to see the city! And when the evening begins, the city comes to life with its vibrant café culture, fantastic restaurants and clubland will keep you dancing the night away. The Camp Nou, one of football’s most iconic stadium, home to the ‘team of the century’, FC Barcelona. Dominant in Spain, the Catalans ruled Europe under Pep Guardiola. Times have become harder since his departure but when domestic and international honours are decided, they will always be in the mix. When the opening note of the club’s hymn reverberates around the stands, you know that this is a special place and an event, much more than a football match, is about to take place. Everything about the stadium embraces pride in the city, Catalunya and the club. “Mes que un club” adorns the seats in the middle tier, shouting loud and proud the special place the club holds in supporters’ hearts. When you’ve got Suarez, Neymar and Lionel Messi banging in goals for fun, no matter the opposition, the bar is set high. But winning isn’t enough; it has to be with style, grace and real swagger. First, ticket prices in the secondary market are always above “face value” because they are traded by socios who don’t want them and sell them to the highest bidder. Rank in the league table – this is not always true, but higher rank will definitely push up the demand for tickets. It’s worth remembering that travelling to follow your team is not as common in Spain as it is elsewhere. Consequently, most Barcelona tickets which come onto the secondary market are for home fans. Barcelona is a fabulous city, and Europe’s number one destination for city breaks. There is something for everyone in the city; the Ramblas and side streets, and Passeig de Gràcia for shopping, Tibidabo for the kids and for the culture vultures, Gaudi’s unfinished masterpiece, La Sagrada Familia, as well Park Güell and a host of museums, galleries and theatres. Top that off with restaurants and bars serving every cuisine you can imagine; Barcelona more than lives up to expectations! Local Rivalries – there is nothing in the world quite like the Clasico. When Real Madrid come to town, the animosity levels are cranked up a level or ten! On days like these, the Camp Nou is not just the only ticket in town, it’s the only one worth having on the planet! City neighbours Espanyol feature in the Derbi but with a strong Andalusian contingent in the city, games against Sevilla and Betis are also popular. Tiers – there are differences in prices between the various seating location you choose and it’s all about your personal preferences. Some fans wouldn’t go for less than the VIP tickets, and some would want specifically to be seated in the Long side central lower tier to see everything from up close. Others would feel great viewing the entire ground from the Long side upper tiers. There are 5 match categories, based on where they are sited in the stadium. Matches are also categorised using letters, A++ for the best fixtures, through to C for the run of the mill games. 1 – Which Seats to Choose? The Camp Nou doesn’t operate ‘named’ stands honouring the exploits of club heroes. Instead, they settle for the main long stand – ‘Tribuna’ – with the ‘Lateral’ opposite. The ‘tribuna’ houses the majority of the corporate and VIP seats, with the dressing rooms and the museum, as well as press seats and one of the most impressive chapels in world football. Taking in the stadium tour is a ‘must-do’ for any trip to the Camp Nou. The short sides in the ground are imaginatively named ‘gol sur’ and ‘gol nord’. Grandstand (Tribuna) 2 (Central); Grandstand (Tribuna) 2; Grandstand (Tribuna) 1 (Central); Grandstand (Tribuna) 1; Lateral 2 (Central); Grandstand (Tribuna) 3 (Central); Lateral 1 (Central); Grandstand (Tribuna) 3; Lateral 2; Lateral 1; Lateral 3 (Central); Lateral 3; Goal 2; Goal 1; Goal 3; Lateral 4; Gol Baix, and General. The Camp Nou is one of the largest club stadiums in the world. With a capacity of just under 100,000, seats are plentiful but you need to manage your expectations. The higher the face value of the seat, the better the view. We’re not going to beat about the bush; General seating – also known as level 5 – is high up, so far that it comes with its own telescope because binoculars aren’t strong enough. The Camp Nou offers a fantastic and unrivalled view of the action. The same architects who designed Wembley and the Emirates are working on the upgrade which will take the capacity to 105,000, as well as bringing fans closer to the pitch. If you can avoid the upper tiers, do so. Even those on the long sides, categorised as “VIP seating”, are a long way from the pitch. The view in all areas of the ground, is unobstructed. 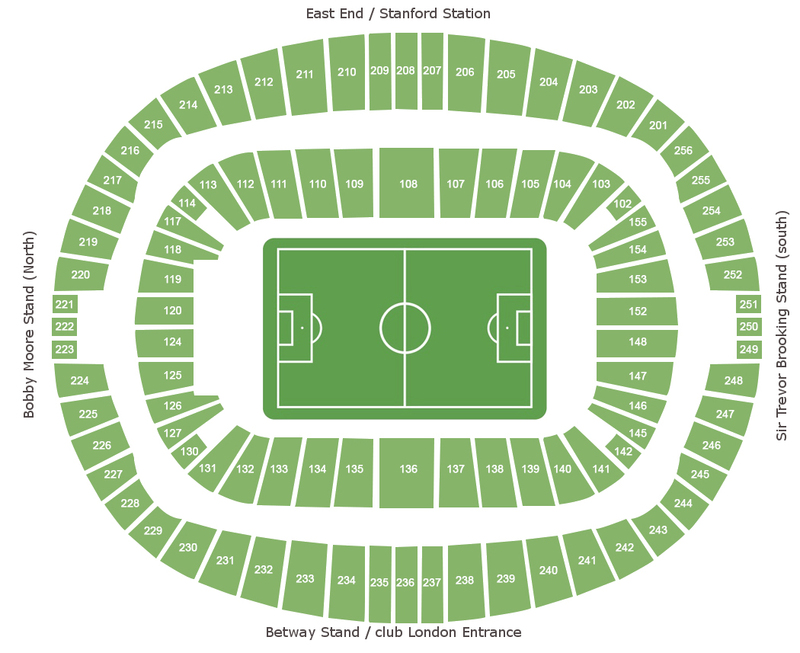 Should the upper tiers be the only seats available, the short sides – the ‘lateral’ – offer the best views. These are best seats in the ground. In either of the short stands or the long stands, you will get the best view of the action. Whichever of the upper or middle tiers you sit in, the crowd will be a mix of hardened season ticket holders – often families sitting together – with children welcomed anywhere, sitting alongside football tourists like yourself. If you want atmosphere, the lower tiers are the place to be. This is where the fervent fans gather at either end of the stadium, generating the noise which serves as a backdrop to the action. Barcelona’s hard-core fans gather in the lower tier of the ‘gol sud’ with away fans up in the gods of the same stand. It comes at a price; the view isn’t brilliant. Even when everyone is sat down, you are one head movement away from missing the action. But like most other grounds around the world, you are up and down like a yo-yo, singing the club hymn or cheering on the team! The Camp Nou has disabled sections in tier 1 of each ‘gol’ stand. Access to these is managed by the club and applications can be made via the official website. How to Buy Barcelona Tickets Online? And you never know your luck; other supporters can be accommodating and willing to swap seats with you – it’s a case of being lucky on the day. Spanish matches take place on Thursday through to Monday night. Kick-offs are scheduled throughout the weekend, although most of Barcelona’s fixtures take place in prime TV slots on Saturday and Sunday. Select your Barcelona fixture from our events table above or our match menu. You can buy for Barcelona home games or away tickets. In the review your order page you will be able to review Barcelona tickets that you have ordered and the total price you will be paying in the next stage if you have been given a coupon or discount code, enter this in the box and click “apply”. The final Barcelona ticket prices will be calculated and then click “Proceed to payment”. There are no hidden fees, or costs and the total price you see are what you will pay for Barcelona football tickets. After payment is successfully processed, you will be redirected back to our site, and you will receive a confirmation message. An email with your Barcelona ticket order details will be sent to the email address you have provided during your registration. There are numerous bus routes to Les Corts, the area of the city in which the Nou Camp is based. Formed in 1899 by Joan Gamper (then known as Hans), Football Club Barcelona have come a long way from the humble beginnings of a newspaper advertisement for players. The iconic red and blue were worn for the first time in 1899 against Team Anglès during the club’s first match. During the Spanish Civil War, the club became a focal point for Catalan pride and one of the few places where the Catalan language could be spoken. Despite this background, the middle decades of the twentieth century saw Barca win six La Liga titles in fifteen seasons and five Copa Del Rey in the same period. Real Madrid’s European triumphs hung like a pall over Barcelona, which even the ‘minor’ UEFA trophies couldn’t relieve. Until 1992 and the ‘Dream Team’ triumph at Wembley; the first of five Champions Leagues in the club’s history. Europe’s bridesmaid became the bride. It was the start of Barcelona’s Golden Age. Since then, a host of the world’s best talent has graced the Blaugrana: Ronaldo, Ronaldinho, Rivaldo, Stoichkov, Kluivert, Eto’o, Deco through to Luis Suarez and Neymar Jr. Some even went on to manage the club: Pep Guardiola and Luis Enrique, all under the watchful eye of Johan Cruyff as advisor, director and perhaps the club’s most vocal supporter (or critic depending on your viewpoint!) This is a club made to break records. Barcelona are dominant in Spanish football, winning ten of the past twenty La Liga’s, along with six Copa Del Rey. In 1952, El Barça de les Cinc Copes became the first Spanish club to win five trophies in the same season. In 2009, they went one better – the sextuple; qualifying for Europe every year since 1955 – the only club to do so – paid off handsomely. Lionel Messi, 472 goals in 571 appearances (as of 22nd September 2016) Cristiano Ronaldo may beg to differ but Lionel Messi is the best player in the world right now and has been for a number of seasons. The impish and mercurial Argentinean has mesmerised defences across the world since making his debut on 16th October 2004 against Espanyol. He was described by Arsène Wenger as a PlayStation footballer, such is the close dribbling skill which Messi possesses. It is unlike any other player seen before. Since he broke into Barcelona’s first team, the records have tumbled. He is Barcelona’s leading scorer of all-time in: 1) La Liga (316), and, 2) European competitions (89) as well as being the holder of just about every other goalscoring record at the club except for most goals in a game (Joan Gamper, 9), most goals in the Copa Del Rey (Samitier) Fastest hat-trick (Pedro), most goals in the Cup Winners Cup (Krankl), UEFA Cup (Rexach) and Fairs Cup (Zaidua). That is the measure of his complete dominance of the Barcelona record books. All this from a man who cost the club some medical treatment when he was younger! 19th December 2009, Zayed Sports City, Abu Dhabi. There aren’t many clubs which can lay claim to a Club World Cup triumph being their greatest moment but for Barcelona it was. In beating Argentinean club Estudiantes 2 – 1, the Catalan giants became the first club to win all domestic, European and world tournaments which they entered. It was a phenomenal record. The sweetest of the six trophies won was the La Liga title, all but delivered in the 6 – 2 thrashing of Real Madrid. In the Santiago Bernabeu Stadium. Real never recovered and Barcelona were officially crowned champions when Villarreal beat Real 3 – 2 at El Madrigal. Three days before that, the trophies had begun to arrive with Athletic Bilbao swept aside 4 – 1 in the Copa Del Rey final in Valencia. And to think, they only just scraped past Benidorm in the Round of 32! Next was the Champions League and Barcelona were at their imperious best, swatting Manchester United aside at Wembley. It had been a long journey from the third qualifying round to lifting the trophy with some magnificent performances along the way. Five were scored against Lyon, Basel and Sporting Lisbon, Bayern Munich hit for four but it took Andres Iniesta’s strike four minutes into injury time to beat Chelsea on away goals at Stamford Bridge, for Barcelona to reach the final. The Spanish Supercopa arrived courtesy of the luckless Athletic Bilbao, a 5 – 1 aggregate scoreline underlining the gap between Barcelona and the rest of La Liga at the time. Shaktar Donetsk were obdurate in Monaco but the European Super Cup followed with a 1 – 0 win. Which left the FIFA Club World Cup. Mexican club Atlante were despatched 3 – 1 in the semi-final before Estudiantes were beaten in the final by Lionel Messi’s goal ten minutes before the end of extra time. Select your FC Barcelona fixtures from our events table above or our match menu. You can buy Barcelona home tickets or Barcelona away tickets. In the review your order page you will be able to review Barcelona tickets that you have ordered and the total price you will be paying in the next stage if you have been given a coupon or discount code, enter this in the box and click “apply”. The final FC Barcelona ticket prices will be calculated and then click “Proceed to payment”. There are no hidden fees or costs and the total price you see is what you will pay for FC Barcelona tickets.